Can you believe the count down to Christmas is now on! Despite the flurry of appointments during this busy season, I always like to take a little time to reflect back on the year. One of the highlights has certainly been joining Youth Lab where I am so fortunate to be able to practice medicine and artistry in a surrounding that is just as fitting. Our beautifully presented clinic goes well beyond skin deep – we are backed by medical expertise, knowledge and professional yet personalised care. What I love the most is the opportunity for me to continue my approach of using a combination of treatments – both medical and aesthetic – to help you achieve your desired outcome. The aesthetic world is ever changing with new products and devices as well as improved techniques for our injectable and laser methods. As such, I feel that it is important to keep up with the latest treatments whilst also ensuring that they are backed with sound science to be able to deliver results. So with the close of 2018 not too far off, I thought, what better time to start looking at what is trending for early 2019? There are multiple anti-wrinkle, volumising, hydrating, rejuvenating, skin tightening, collagen building, anti-pigment, anti-ageing treatments..and the list goes on! But what I am noticing more and more of during my initial patient consultations and assessments is that patients are desiring a more outcome based result rather than a particular treatment itself. And more so, patients are often asking “What do you think I need?” This has shifted away from previous where patients would often present requesting a singular treatment such as “I want lip filler” or “I want wrinkle relaxer to my frown”. Patients are now wanting specific desires addressed but at the same time want balance in their overall appearance and are completely open to expert recommendations for how to achieve a full-face rejuvenation. I have also noticed that trust in an Cosmetic Practitioner is increasing. Patients are doing their research before coming in for a consultation. They are much better informed and seek you out for your medical experience and expertise, not just for the treatment. Patients are also considering their safety and feeling that a medically trained Doctor should administer their treatments rather than basing their clinic choice purely on price. Furthermore, what you choose to have performed needs to suit your lifestyle and ability for down time. My approach is therefore one that is individualised to you. Cosmetic treatments aren’t a one size fits all affair. What looks gorgeous on your friend may not be the best option for you. Likewise, you may love a certain cosmeceutical product but it causes breakouts in your bestie. I therefore like to focus on the final outcomes that combined medical and dermal cosmetic treatments can achieve for you. So what do I think will be the go to treatments for early 2019? These are my top 3 Cosmetic Trends (so far!) for 2019. I am a huge advocate for good skin and feel that great skin is really a worthwhile investment. Clear, fresh, glowing skin gives the impression that we are in better health, are potentially more youthful and have an overall more beautiful look. Many of my patients are wanting to have the freedom of needing less makeup coverage and being more confident in their own “naked skin”. Our skin is our largest body organ but it is sometimes left forgotten, especially in the cooler months when we hibernate or the sunnier days when we are too busy soaking up our holidays to remember our skin. Protection with a good SPF daily – regardless of the weather, sunny or not – is a must. We can’t fight intrinsic ageing factors like genetics, but we can certainly help to delay the extrinsic effects such as UV exposure as well as addressing lifestyle factors such as avoiding smoking, minimising alcohol intake and maintaining a well balanced diet that is high in fresh food choices and lower in processed foods. So how do we get you that step closer to flawless skin? I am super excited about the the latest Skin Boosters that have just hit our Australian shores just weeks ago which I think is going to be a game changer in 2019. This new beauty booster is technically a dermal filler, but not in the traditional sense. From the same company that produces well known Dermal Fillers for lips, cheek and jaw enhancements, I describe these products to patients as fillers that won’t change your facial structure but instead act as an almost instant and supercharged hydrator to plump, moisturise and smooth your skin (who would say no to this!). It also encourages collagen and elastin production and can help to tighten pores, improve acne scarring and add to your skin glow. This requires a single treatment – which differs to the previous skin boosters available on the market – which lasts up to 9 months. Pigmentation can come in many forms such as freckles, sun spots, age spots, hormonal pigment or post-inflammatory hyperpigmentation and can sometimes be difficult to treat. This is especially so if you have a higher Fitzpatrick Skin Type – more tanned or olive skin – as you run the risk of further pigmentation with some treatments. Not only can pigmentation mask your skin glow, it can give your skin a more aged appearance and depending on its location and density on your face, it can impact on your self-confidence and your ability to be make-up free. There are multiple options when it comes to pigmentation but I think what will continue to be popular will be treatments that are results driven with minimal down time. Sometimes when you are onto a good thing, there is no reason to change course which is the case with the Broad Band Light (BBL) Treatment. BBL is so popular now and will continue to be well into 2019 and beyond. This remains a great option to safely and effectively treat pigmentation. BBL is similar to laser but instead uses light based technology to gently heat our skin tissue. This heat energy is then absorbed and targets pigmentation and brown spots which are then eliminated from the skin. There can still be some risks with pigmentation getting worse, particularly hormonal melasma, and for this type of pigmentation I still love the Dermamelan treatment. This is a Medical grade topical pigmentation peel. You will leave our clinic with the signature Dermamelan mask and followed up with a further depigmenting programme with the support of our experienced Dermal Therapists. There is some down time with redness and peeling but it is highly effective for all types of pigmentation in all skin types and deserving of its title as the world’s number one pigmentation treatment. The requests for this has certainly been increasing and the Side Selfie is starting to take over the traditional. A balanced profile, from all angles has always been the goal as a Cosmetic Physician. There is more to Cosmetic Injectables than just freezing lines or replacing volume. We need to consider your facial shape, your features, skin type and quality, how your face animates when you talk, smile and laugh, your muscle movements, your facial fat pads and even your facial bony structures and teeth. As a younger teenager, I had often noticed that I had “bigger cheeks” than most and often received comments about my cheek bones. Little did I know then that this would be an asset to have a more prominent Ogee Curve and that I would start to miss my youthful cheeks now that they are starting to flatten out. When it comes to Facial Contouring, I am certainly getting more requests for more prominent cheek bones as well as more defined jawlines. Patients are looking beyond just their lips when it comes to Dermal Fillers and are opting more for facial harmony. Dermal Fillers are the main non-surgical option used for facial contouring and it’s all about choosing the right type of filler and placing it in the right places. Generally for structure and sculpting, we use fillers that are firmer in nature so that they provide support and lift to your facial anatomy – this is particularly important for patients who don’t lack volume but just need shape and definition and I have particularly found this to be the case in patients of Asian descent. What works particularly well is a combination of treatments to achieve the desired outcome. I have been using an increasing number of combined Anti-Wrinkle treatments to slim the jawline to accentuate cheeks and give contour to the lower face. 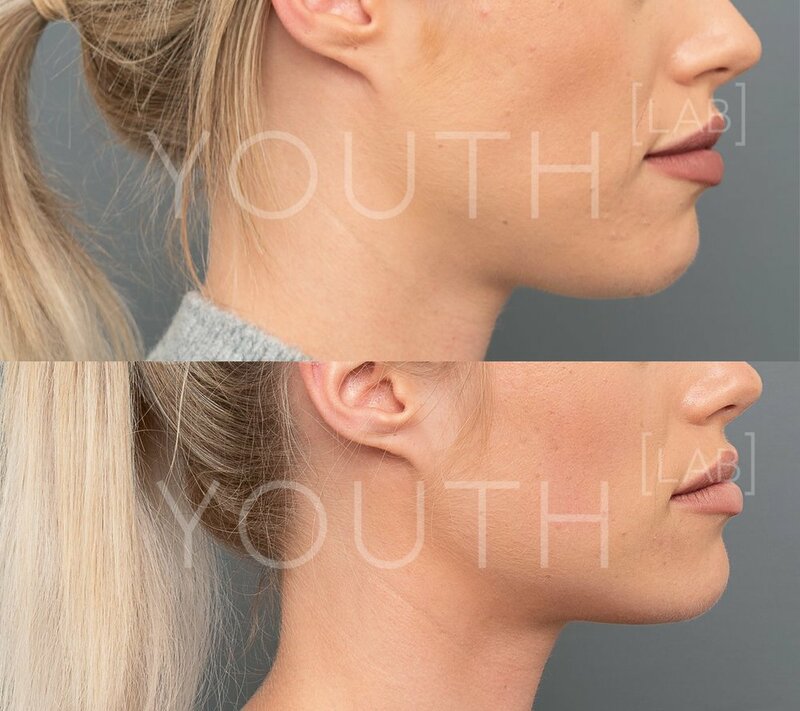 As well as using fat dissolving injections to tighten and sometimes reveal a lower jaw line, then combine this with dermal filler to contour and shape. I love all my beautiful ladies who come to see me and it is really exciting to see the increasing number of male patients that are also entering our clinic. How we look and feel goes beyond gender and it is so encouraging to have male patients feel comfortable seeking our cosmetic treatments. Working in harsh conditions for FIFO workers or in a highly pressured corporate environment, many male patients feel they look older than their biological age, that their skin could be better and overall they generally want to age as gracefully as their partners. Anti wrinkle injections, for men and women, will continue to be a mainstay Cosmetic Treatment. It’s quick and easy – perfect for a lunch time treatment – or what many of my patients refer to as their “coffee break” when they step out of the office to see me. This is great to address the early fine lines and wrinkles, prevent deeper wrinkles, improve your skin texture a little and take away that tired or stressed look. Wrinkle relaxers also work well to address sweating and I perform quite a number of Hyperhidrosis treatments. This is an anti-sweating treatment mainly to the under arms to stop sweat gland activity but this can also be done on the hands and feet as well as scalp. Liquid Gold aka Platelet Rich Plasma – where your own blood is used to help regenerate tissue in the areas where it is injected. This is one of my absolute favourites and again will be a big hit in 2019. Your blood is centrifuged down to a gorgeous concentrated yellow liquid (your plasma) which in men is a popular treatment for Hair Regeneration and Regrowth but we can pretty much inject or infuse PRP to wherever it is needed. Think under eye rejuvenation, facial skin hydration, tightening and glow, back of hand treatments, neck and decolletage rejuvenation and much more. 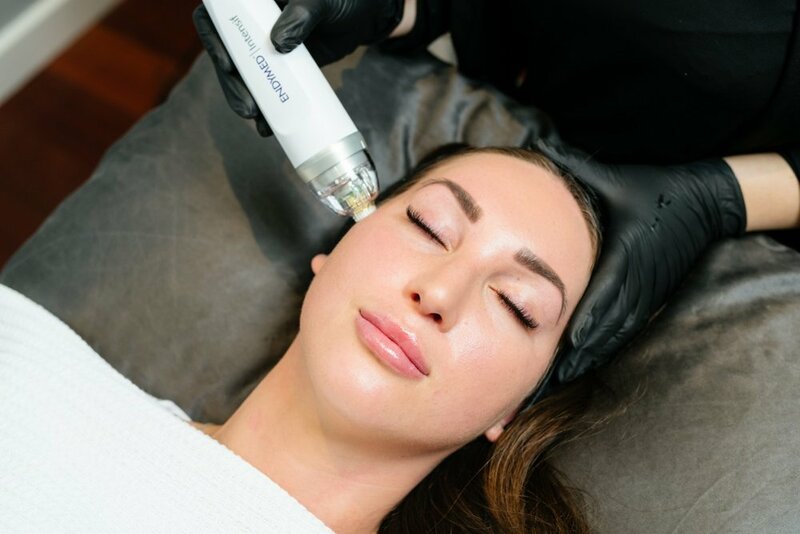 If 2018 is any indication to go by, it is an exciting time for Cosmetic Medicine as we aim to provide more than just a passing trend but instead offer effective treatments that can help you achieve your skin glow with clearer, firm skin, less pigmentation, a more balanced and beautiful facial contour and confidence from your cosmetic treatments.